One of the things that got us so much into coffee was the wonderful full flavour of speciality coffee without the hint of unpleasantness. The first time we tried coffee that was truly smooth and naturally sweet we were sold and we knew we had a wonderful journey ahead of us. So we set out to create a range of coffees that were easy to drink yet full of flavour. Our interest was in developing a range of espresso blends that suit the UK market perfectly. Most of the drinks served in the UK are milk based such as caffe lattes and cappuccinos. It was therefore really important to us to put together various blends that work extremely well with milk. We believe that milk is the best friend of coffee. Of course we needed the espresso blends to taste just as nice as a black coffee or as an espresso. And this is where the challenge begins: to develop a coffee that works just as well with milk as without. This is harder then you might think. 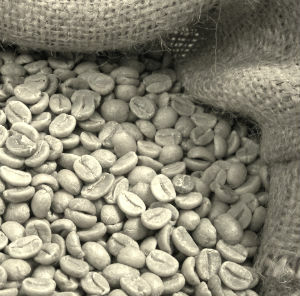 A lighter roasted coffee is often brighter and lighter than a dark roasted coffee. Roast too light however and the coffee is underdeveloped and too acidic. Roast too dark and the coffee is burnt and bitter. When you roast it just right however you have the ideal natural sweetness, the big body and a little acidity to brighten up the cup. That is what we searched for and aim to achieve every time. We also have to develop the coffees so that they work in smaller and in larger cups. Coffees that we drink for filter are very different compared to espresso blends. Filter coffees only have a little amount of milk added and therefore we can roast the filter blends must lighter. Again, we don't want it roasted too light because the filter coffee will be weak and too bright. It is important to note that we roast very differently for filter coffee than we do for espresso blends. The roasting is of course just one part of developing the coffees. Sourcing the right coffees from all over the world is extremely important and the difficulty lies here. But this is also the fun part! 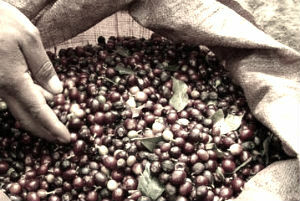 Coffee is a seasonal product and therefore sourcing the finest coffees is an ongoing process. It takes time and effort and lots of tasting. We work very closely with our partners to ensure that the coffees are sourced as ethically as possible. We need to ensure that the coffee comes from sustainable sources and that the growers receive more than fair prices. Sometimes our coffees are certified by the Rainforest Alliance program. It is important to us that the coffee farmers receive above the minimum Fairtrade prices and always above the market price. 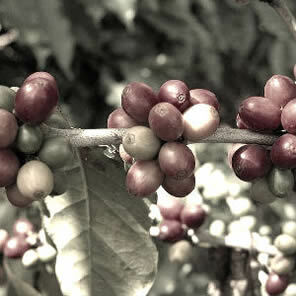 At the moment we source from around ten different coffee growing countries. These countries can offer us consistent high quality coffees. Occasionally we also find something special from elsewhere and have this on as a special. Consistency is really important and we do our best to ensure that the coffees from each country are consistently delicious. Relationships are extremely important to us and we see supplying coffee as teamwork. To ensure that you receive delicious coffee and can serve this wonderful drink to your customers or yourself we have to ensure that everybody in the chain is happy. This starts of course with the coffee grower and the roaster. We need to ensure that everybody is benefiting from the relationship, from the grower to the end user. Coffee has to look good. From the packaging of the bags of roasted coffee to the final drink that you serve to your customer. Presentation is really important. We work hard to ensure all the coffee has the best packaging and a useful label that explains enough about the coffee that you are serving. Presenting your coffee with our roasted on stamp is something that we are very proud of. We also explain to you what the blend is made up of and what tasting notes you should expect. Barista training is of course one of the most important training that we do. After all, the barista has the responsibility to ensure that the coffee is done justice. Making sure that the coffee is extracted the correct way and that milk is steamed to balance the coffee perfectly is a job that requires skill and practice. A good barista understands what the customer is looking for and knows how to work the coffee to ensure the drink comes out just right. We believe that developing a blend and sourcing a coffee is an art. It is the art of the blender and roaster to know how the beans work individually and how they behave when blended together. This knowledge takes time and only comes after drinking a lot of coffee. Having a great palate is of course rather important. Roasting the new coffee or blend is then a real art. The first roast is all about feeling the coffee and understanding what the coffees are doing. The age of the coffee makes a difference as well and the roaster needs to understand this. 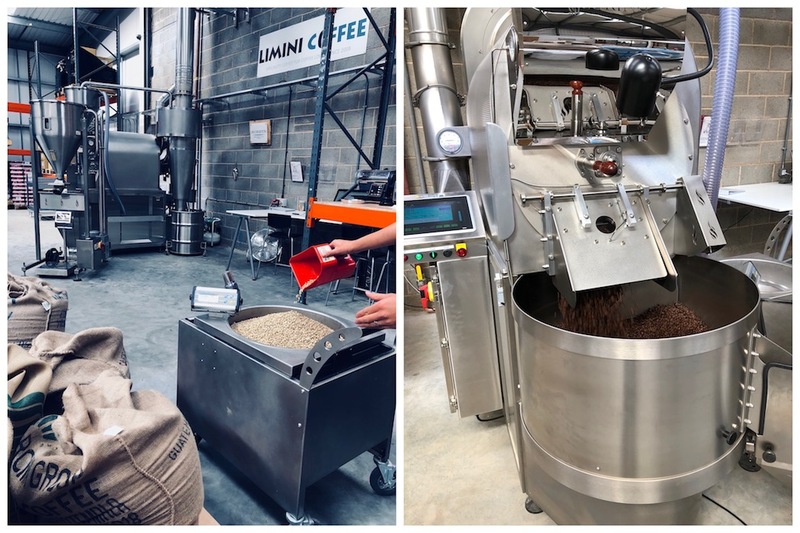 Once the initial roast is developed the coffee roaster is programmed to ensure this can be re-produced. This is where the science comes in. Our roaster uses a comprehensive profile system that makes calculations regarding the temperature of the bean at least once a second. The roast is controlled by the roaster and follows the same profile of the initial roast. Roasting this way allows for great consistency and ensures that the coffee comes out tasting the same time and time again. Even though the coffee is roasted consistently, the taste of the final cup will only be consistent if all the parameters of the brewing are the same. And one of the most important one is the freshness. Coffee that has been roasted two days ago will taste different than coffee that is two weeks old. Believe it or not but coffee can definitely be too fresh. Ideally coffee needs to rest for a week to develop a good body. Too fresh and your coffee will be too bright and lacking in body. We will ensure that your coffee always arrive fresh. You just make sure that you do the coffee proud by resting it and then brewing it the way you have learned from our passionate barista trainers.